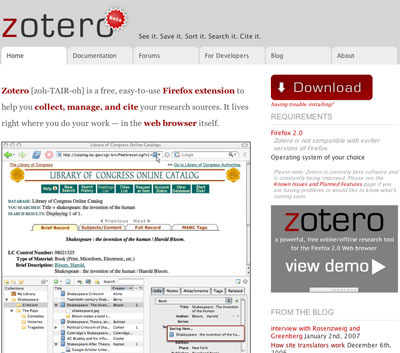 Zotero is a free program provided by the Firefox database that captures, stores and organizes a variety of information resources. It is a program that helps create your own reference library. The STAR workshop that I attended helped enhance my skills in citing sources and also in finding a new way to create a bibliography. The workshop was taught by Allison O’ Connor, a history professor here on campus. 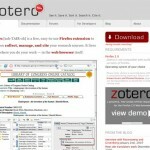 In this program, the process of citing a source using a given source style is made easier. It is usually just needed to right-click on the cited item or items, then to “Create bibliography”, and the citation will be copied to the user clipboard, thus ready to paste. The bottom line of this workshop was to show a new and creative way to cite sources and to create your own reference library. By combining voice-overs, natural sound and sound effects (for transitions), you build a multidimensional story. When browsing through a blog, is there anything better than coming upon an article that gives you tips on finding another journalism job? Well, that’s what you get when coming upon Mark Potts’ “Recovering Journalist” blog. Since there are plenty of journalists who are out of work, Potts thought it was necessary to speak for them all and give them tips. As Potts says, “nothing can immediately take away the pain and anxiety that you’re feeling, but hopefully these will help you understand that your situation is not unique and that you’ll be able to get through this.” This is some great advice. Here are the 10 tips for suddenly unemployed journalists. Each of these tips are pretty straight forward. Potts’ key is patience, for unemployed journalists will find their way back into the media spotlight soon. Since this is the first of many blog items on Mark Potts’ “Recovering Journalist” blog, it’s necessary to go over the format that is distributed on his page. First, there should also be a little background on who Mark Potts is and why I am blogging about his work. Mark Potts has been a journalist for close to 20 years in both the traditional and digital field. He has been around so long that he has written news stories on typewriters and six-ply paper. From then to now, he has helped to invent ways to read and interact with the news and advertising on computer screens and iPads. Potts is also the co-founder of WashingtonPost.com and hyperlocal pioneers Backfence.com and GrowthSpur. He has served as editor of Philly.com; and does product-development and strategy consulting for all sorts of media and Internet companies. The page itself is set up in an “easy to read” format that captures the eye. There are links, pictures and articles everywhere you look. The left column includes the “about me” section, links to his recent posts, recent comments, links to different categories he discusses in his blog posts and even a calendar. The middle of his page includes his articles, with pictures included that are appropriate to each article. The right column of his page includes a link to his twitter page, essential reading and my favorite part of his page, tips to read that are meant for other journalists who have been laid off. The articles are entitled “1o Tips For Suddenly Unemployed Journalists” and”Life After Journalism,” both intelligent pieces. I can only say so much about his blog. The rest of the page is meant for you to browse and look at, while I’ll be blogging about his posts later on. Keep in mind what Potts does; his blog layout and articles are helpful for your own blog and future blogs. 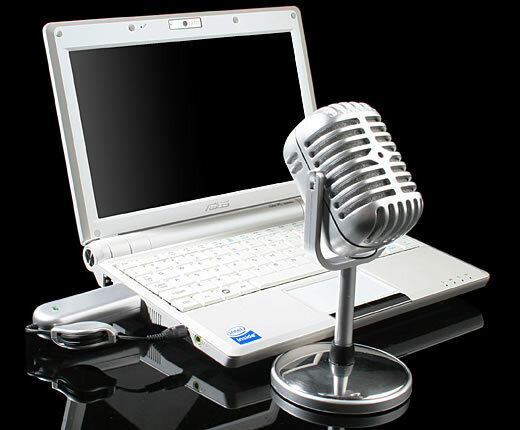 Briggs points out that with just a microphone, recorder and free software, you can create full-featured segments that sound like radio episodes and distribute them as podcasts to build a loyal audience. This is what this chapter is all about: audio journalism. 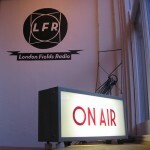 So why is audio journalism important? Capturing in words a story’s particular sights and sounds has always posed a challenge for every reporter. 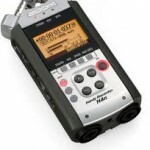 Since it has been a challenge, reporters have used cheap digital audio recorders to make things easier. 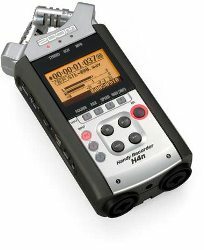 With these recorders, reporters bring readers even closer to the story by enhancing their reporting with audio clips. Presence: On location, a reporter can literally bring readers to the story. The simple fact of being there boosts credibility and interest. Emotions: Tone voice, expressions, intonation and pauses–in the words of either the reporter or the sources–can enhance the message. Atmosphere: Natural sound–the sound that’s naturally happening around you as you report–helps pull the listener in close. Natural sound can be anything–weather sounds, crowd sounds, machine noises, etc. Reporter overview: Newspapers like The New York Times routinely post quick, simple audio overviews by reporters that accompany their articles. Podcasts: Regular episodes on a selected subject help build an audience but can be time-consuming and difficult to establish in the beginning. Audio slide shows: Photojournalists have discovered the power of adding audio to their images to tell richer, more compelling stories. Breaking news: With free services like Utterli.com, a reporter can file a quick audio report from anywhere by mobile phone, to be published on a Web site. It seems like Google is never out of ideas to make Web-searching more interesting and intriguing. 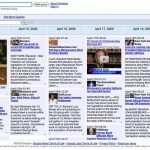 The following video shows how to use Google’s recent addition, Recipe View to search recipes for any keyword you type. The search filter can narrow down the results with ingredients, cook time and even amount of calories per serving. I’m quite used to cooking for myself, but I never got to search for recipes to try new food by myself. As a big fan of Google, I am definitely going to try this one out! If you post something libellous on Twitter about a local rival politician, and have only 30 followers, you can get sued. If you say something potentially libellous, using a pseudonym, on a UK newspaper site, with page views in the millions, you’re fine – that’s just “pub talk”. While defamation, in the shape of slanderous and libelous comments, has been around for many decades, the problem has been exacerbated by the advance of the Internet as a reporting and social tool. 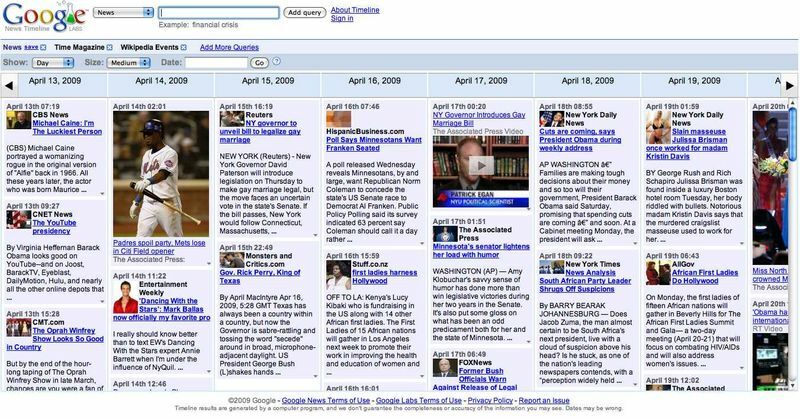 While comments made in newspapers and even on the TV have a limited shelf life, those made on the Internet can remain on the website where they were first added as well as on other blogs and websites and even in the cache of search engines for many more years. Fortunately, this same problem also leads to a possible resolution. While successfully trying an online defamation case can prove difficult, positive comments and good SEO can be used to beat defamatory comments by consigning them to lower search engine positions. This may not be an absolute solution but it can certainly help to rebuild character and improve online branding following a defamatory attack. With Twitter, if you are smart, witty or cool enough, you will get a decent following of people who care what you have to say. So, as a blogger, you can host blog contests or ask your followers for advice, and they with so many followers, you are bound to get some traffic. The cool part is that if they care enough, they will spread the word as well by using the Twitter retweet feature. Whether it be politics, sports, fashion or food, become the expert in what you write about best. By picking a topic that you are passionate about, you will be established as the expert and would be able to answer questions via tweets, find new contacts and your credibility will grow. 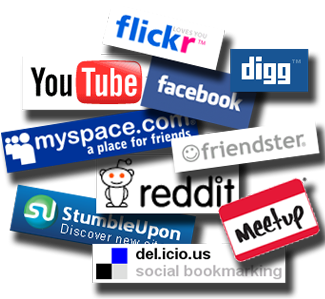 When you have a Twitter account, you also probably have a Digg, StumbleUpon and Facebook account. By having a Twitter, you can direct your tweets to these various outlets as well and direct them to your blog posts. 2. 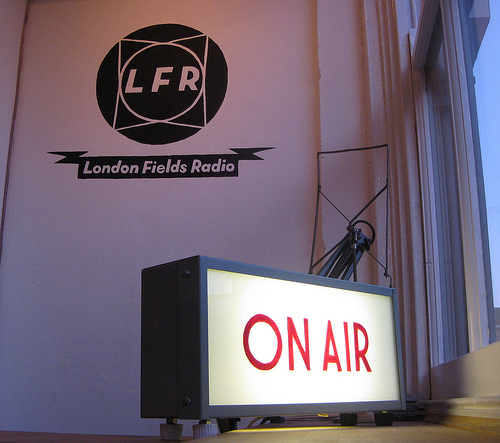 And we are on…live! Twitter lets you broadcast news live! Court cases, sport games and breaking news are all perfect scenarios for users to tweet what is happening. What’s better than sharing real-time information? 1. Talk to the experts when you are not sure! Want to ask Mark Halperin a question? Look up to Lance Armstrong? Whoever it might be, Twitter gives each person a chance to build their name for themselves. Ask the experts questions about anything you want and don’t be afraid. 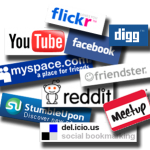 So, go establish a Twitter account now and blog your way to the top!